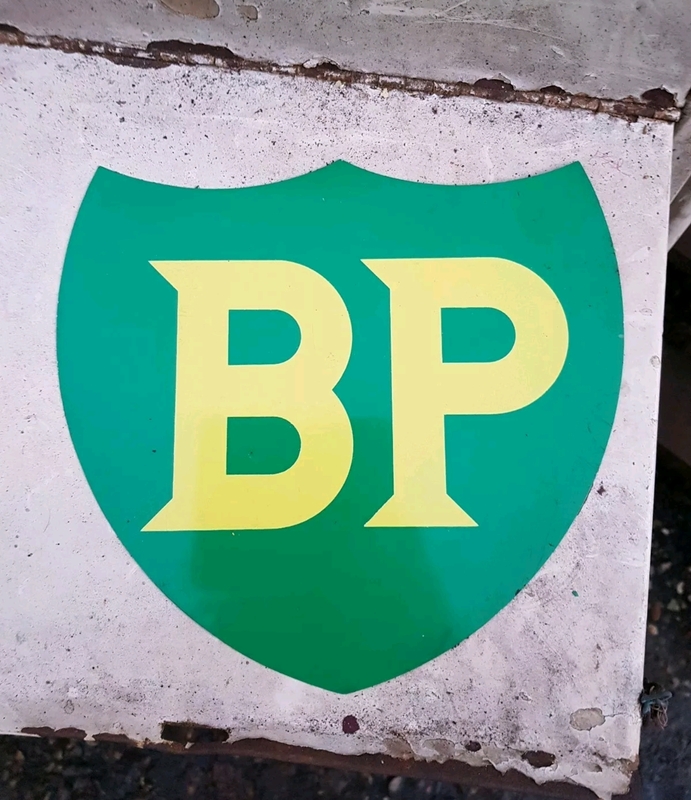 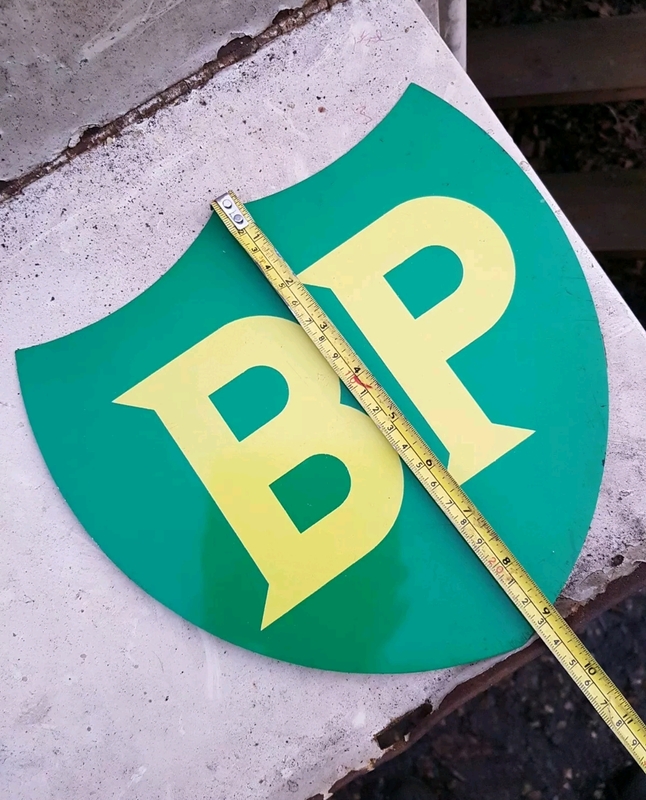 BP Shield Sign – Now SOLD! 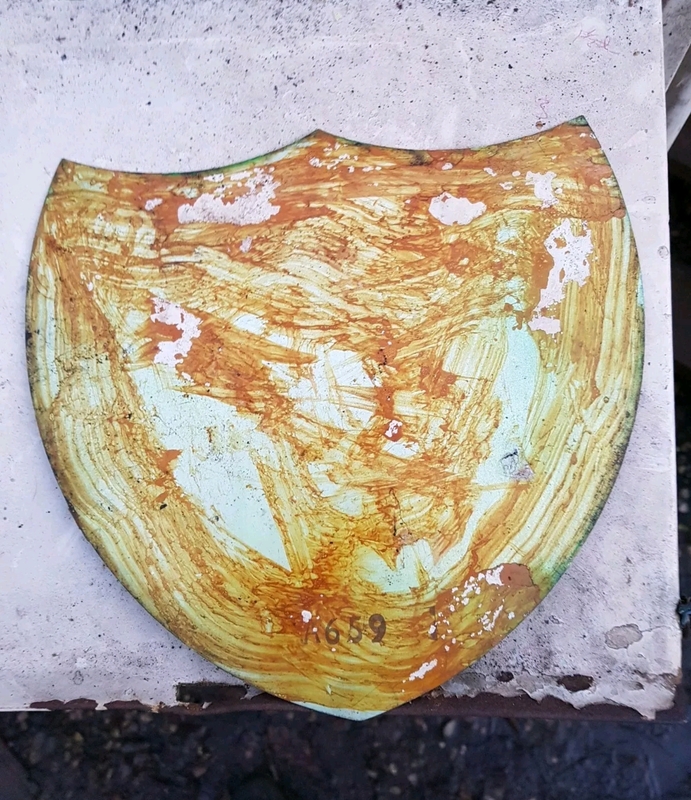 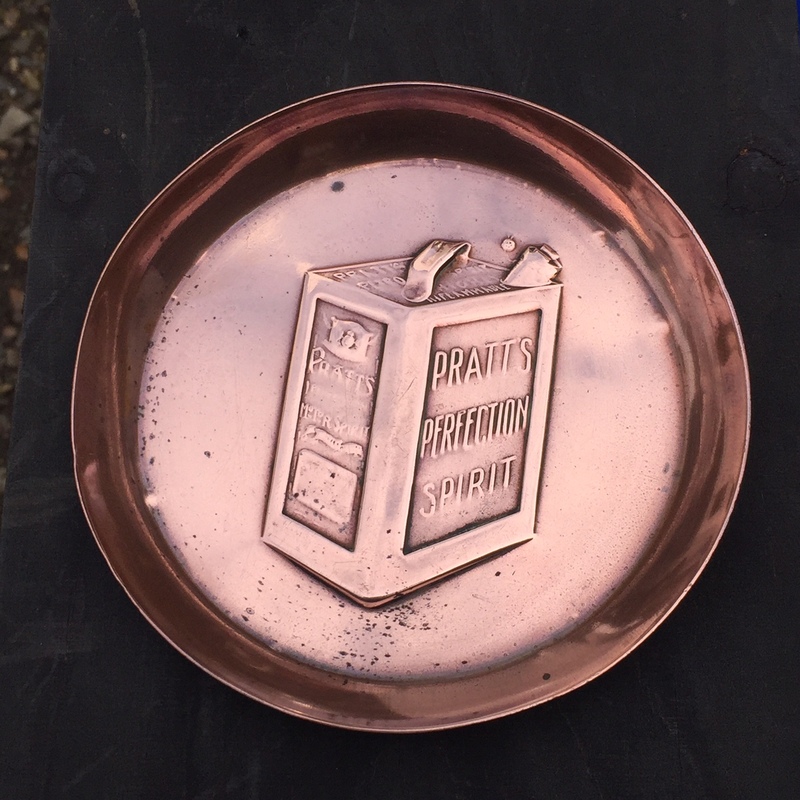 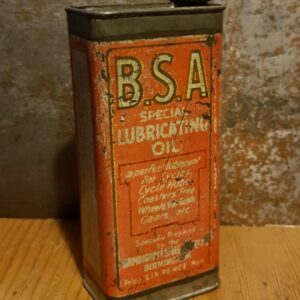 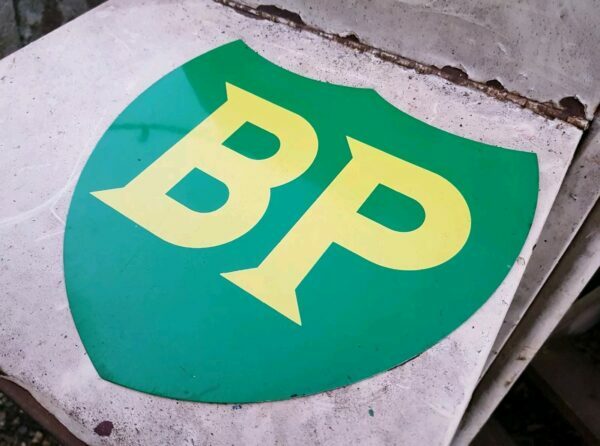 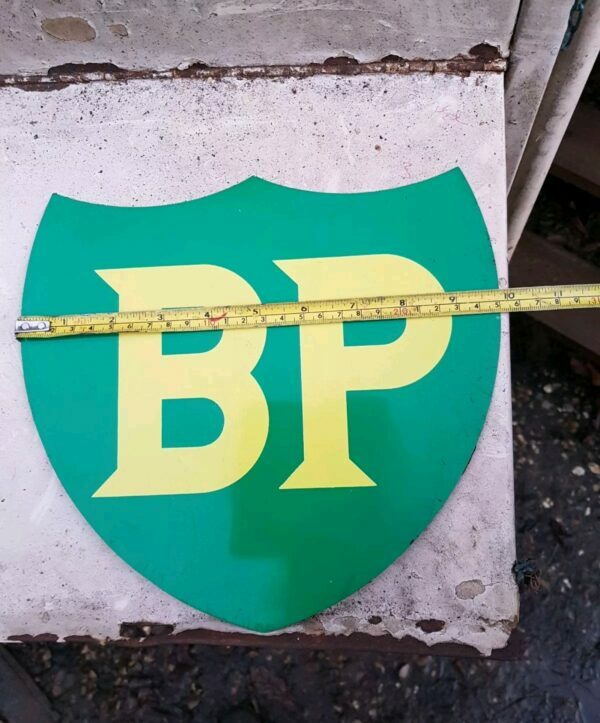 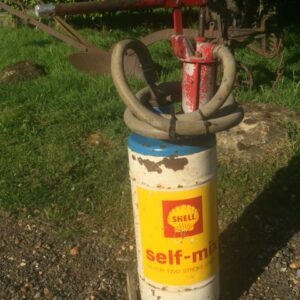 Rare BP shield shape screen printed aluminium sign, C.1960s single sided as used for the front of petrol pumps and other garage equipment of the era instead of decals. 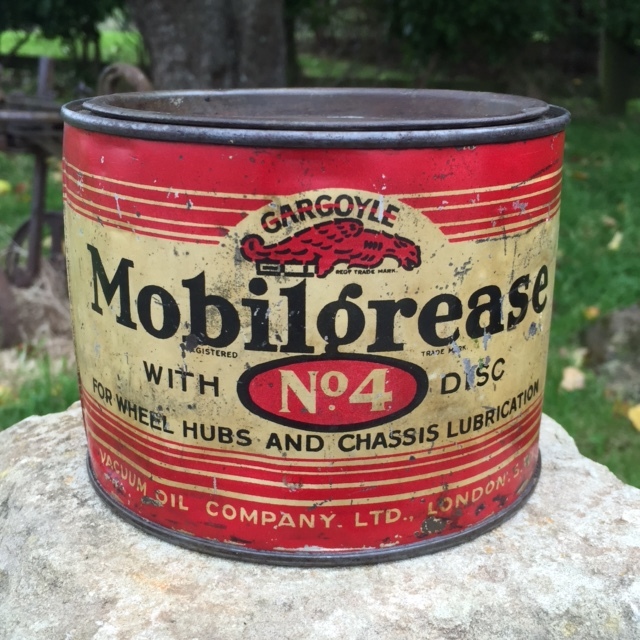 displays well, great original condition.